Bartimaeus was physically blind, but because of his faith the Lord healed him. We chose this theme because we realized that there is a blindness that is worse than physical blindness. It affects not only men, but all of society, and we all need to be healed from it. To accept Jesus as our Savior and undergo conversion goes against our nature. We think we know what is best for us and we want to rely on our own resources, our own intelligence, our own understanding. It is from this way thinking that we need conversion and forgiveness. In baptism we received the theological gift of faith, but what is faith? The theologian St. Thomas Aquinas gives us an insight. He says, “The object of faith is not something seen or sensed; nor, in it self, is this object grasped by the intellect,” (Tour of the Summa). Perhaps this is what we could call the difficulty of faith. Our intellectual desire is to understand all things, but there are some things that God has revealed to us that are beyond our understanding. Sometimes we must surrender our intelligence to God in order to believe. As we draw close to God we should love more to believe than to understand in matters of faith, because it is our faith that causes us to have hope and live in charity. It has been proven through the ages that true faith in God has inspired men and women to live heroic lives of virtue and experience great happiness that has been the means of hope not only for themselves, but also for others. This internal faith must lead us to an external witness. St. James tells us, “Be assured, then that faith without works is as dead as a body without breath,” (James 3:26). If our faith does not influence our decisions it is dead. If our faith does not inspire us to pray daily, read the scriptures and worship God it is dead. If we are not concerned about discovering what God’s plan is for us and then using the gifts He has given us to build up on the Body of Christ, our faith is dead. Jesus came to speak about the urgency of the kingdom of God because the kingdom of God is at hand for those who believe, and unbelief leads to hopelessness. If we do not have a sense of the urgency of the kingdom of God, then we have eyes, but we do not see, ears but we do not hear, and hearts that have not yet been converted. The world is as it is because we have not placed God at the center of our lives, at the center of our families. Our Lord is patient for our salvation, but the longer we take to cooperate with His graces, the greater are the consequences for ourselves and for others. If we still have enough faith to know that we must make some changes in our lives, then we should say along with Bartimaeus, “Master, I want to see!” The Lord will begin to show us what we must do. It was Bartimaeus who initiated the dialogue with Jesus. Even though he was told to keep silent, he continued to ask for pity, and Jesus said, “Call him!” And when he came forward Jesus said to him “What do you want me to do for you?” – even though he knew he was blind. Jesus knows what we need, and yet he often waits to see if we have enough faith to ask, for ourselves or on behalf of someone else. He begs us to ask him. He says, “Come to me all you who are weary and find life burdensome, and I will give you rest,” (Matt 11:28). It may seem like a big risk to ask Jesus for something because we know he may want something from us in return. What he wants from us is our trust. He wants us to experience the joy of being a child of God and living in a relationship with Him in which we will discover our true dignity. There are some things we can do that will prepare our hearts to see and hear our Lord, so that we can be converted and forgiven. We must make a commitment to pray daily. How much should we pray? Probably more than we are praying now. No matter how much we are praying now, we can do better. Prayer could change the world if we would pray with our hearts. Our Lord has given us the sacraments because he knows we need his grace to discover and live the plan he has for each of us. 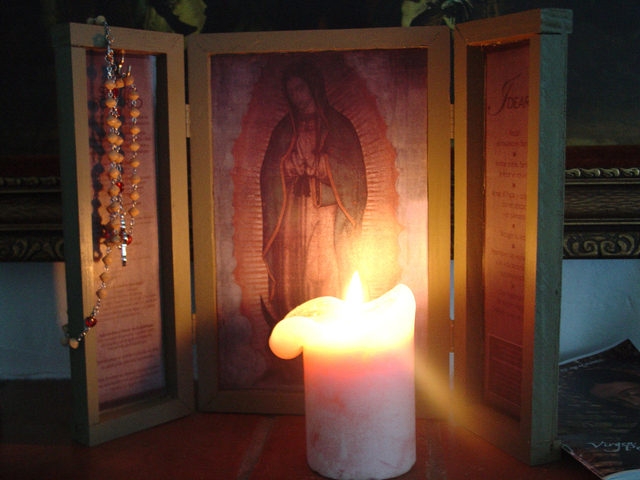 Frequent Confession, daily Mass when possible, quiet time with Jesus in the Blessed Sacrament Chapel, reading the Scriptures and being united with the Mother of Jesus by praying the Rosary daily will help us to see more clearly the spiritual battle we are involved in each day. May the grace of God give us all the confidence we need to approach Him with our concerns and petitions, and help us to see and hear more clearly His great plan for us. Remember: Faith is a gift from God, but believing is a choice. On many a recent lunch break, I’ve opened the newspaper to an opinion piece or letter criticizing hypocritical Christians. Logging into my social media accounts, I often see a similar theme voiced by friends and acquaintances. Same on TV. Same on the radio. In the Church, Pope Francis challenges us to re-examine our habits and attitudes against our baptismal call. All these situations prompt me to ask myself: Why am I a Christian? To what extent am I not living like one? I admit that, not unlike James and John, I often forget why I am a Christian. It happens in the heat of the moment; and, because of this forgetfulness, I often fail to live like a Christian. and if we believe, we’ll obey. I find encouragement in the apostles’ own struggle to follow Jesus out of love, rather than for fame or glory. All Christians must face these questions: Is my primary motivation to ‘gain the prize’ at the end of life? To avoid the burning alternative? Do I just want to be a member of the ‘winning team’? Am I merely carrying on ‘the family religion’? We may quickly waive those questions off, but each of us answer, “Yes,” to varying degrees. Those “yes’s” are the origin of our sins. Instead, we must follow Christ, as Chapman sings, “because of the love He has shown.” Christ’s vicar and people are calling you and me to recognize God’s intense desire to purify our hearts; so that daily activities and decisions come from love and love alone. This is what it means to be a saint; drawing closer and closer to Love Incarnate, sharing more and more of His life, until we are finally united. God showed us how to answer His Call by doing it first; in Christ who lived and died (and continues to live) as pure self-gift. What an immense and intimidating challenge! No wonder Christians are held to a high standard! No wonder we are hypocrites! How could we possibly mirror Love Incarnate? Today, and each day of our lives, can be a step on a journey toward a pure heart—toward sainthood—by making one, small change in the way we love. We make this daily journey by abandoning our self-interest and opening ourselves to grace—which is just a fancy word for God’s own life. History illustrates this process with the apostles’ abandonment of their nets—their way of life—and their daily sharing of Jesus’ life. We are not alone. We make this journey together, as members of a larger Body. Saints who have gone before us call out from Heaven: “With God, nothing is impossible!” Sainthood is a real possibility. I had the most extraordinary experience with a Hindu family who had eight children. A gentleman came to our house and said: Mother Teresa, there is a family with eight children, they had not eaten for so long – do something. So I took some rice and I went there immediately. And I saw the children – their eyes shinning with hunger – I don’t know if you have ever seen hunger. But I have seen it very often. And she took the rice, she divided the rice, and she went out. When she came back I asked her – where did you go, what did you do? And she gave me a very simple answer: They are hungry also. What struck me most was that she knew – and who are they, a Muslim family – and she knew. I didn’t bring more rice that evening because I wanted them to enjoy the joy of sharing. But there were those children, radiating joy, sharing the joy with their mother because she had the love to give. And you see this is where love begins – at home. I think of this as I reflect on Simcha Fisher’s article at Aletia, Poor Family! Dear Synod Fathers, the Faithful Sheep Are Suffering, Too. In it, she covers a lot of ground on behalf of the suffering faithful who, obedient though they are, never escape the various crosses that come for us all. “Then I got an avalanche of letters from women who are living Monica’s life. They aren’t trapped in some irregular marital situation. They’re just brokenhearted. They want someone to acknowledge that conventional, domestic sins can devastate a family. They want someone to hear their sorrow. Poor families! We can become so caught up in the great cultural and spiritual wars of our era — wars that swirl around avant-garde sins begging for extravagant mercy — that we forget the family back home, the poor family, the ones we’re defending when we go out to fight. We live among tribes that fight viciously for our attention. Every day there’s another story about how society is so much closer to its collapse, and it’s all those people’s fault; or how the other side will finally be destroyed by some new artifact of the news cycle. The Culture War divides everything up into mutually exclusive sides and constantly demands support in the form of collective outrage. But while we stare at the television and shake our heads, we are hungry, and our neighbors are hungry. I know this because I’ve been hungry, and I’ve lived with and befriended people who are hungry for understanding, to be known, cared about, affirmed that they are good and worth something. People are hungry for someone to treat them like human beings – whether it means visiting them when they’re in a community home, or talking about the Cowboys and having a beer. Some people are basically okay, but they’re lonely. Some people are worried about their finances or their children. Others are miserable because their spouse makes life entirely too painful to bear, and refuses to change. So many suffer quietly, without the bonds of family and community to help ease the weight of their cross. Perhaps it was because the Hindu woman had fewer distractions in her life. I’m utterly convinced that the Culture Wars are soul-sucking. There are real concerns to have, yes, but when Catholics allow ourselves to be blown about by every gust of manufactured outrage that TV’s talking heads bellow about, we’re submitting to the utter distraction of toxic windbaggery that God is not in. It’s time to go where politicos dare not tread: the heart of the world in our neighborhood block and the withered branches of our family trees – without an ideological agenda. 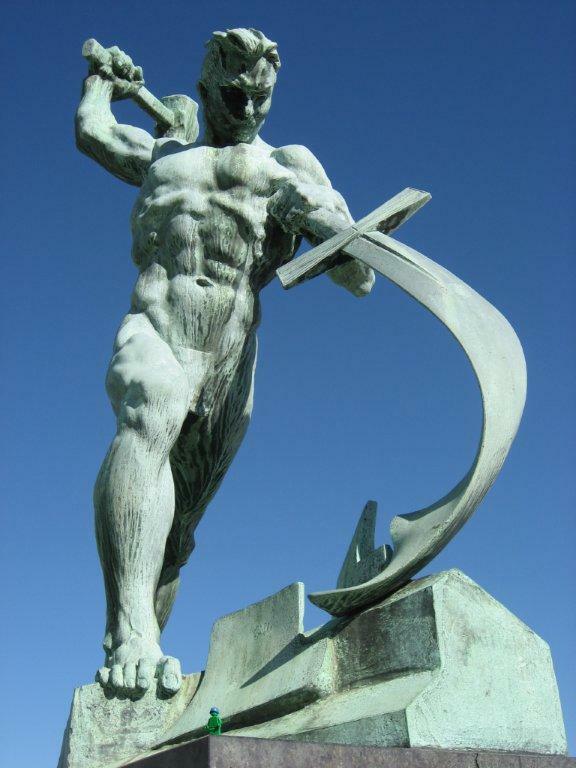 It’s time to beat our culture war swords into plowshares. Do you know what your neighbors need? If not, try finding out over a barbecue. Or maybe just take a plate of food over because you made too much for your household. Be creative, but not fancy. Be patient and good-natured, forgiving and considerate. If your neighbors are pretty much fine and don’t really need your help, great! Be friendly anyway. It’s not likely they’ll come asking for help when they need it if they don’t know you, and vice versa. Whether you’re a liberal or conservative, or neither, know that God smiles about this sort of thing. Jesus likes it. Know that this helps bring about the Kingdom of God in the ruinous City of Man, and stores treasure on Earth as it is in Heaven. A beautiful wooden crucifix from Jerusalem hangs in a prominent place in my living room – a gift from Deacon Tom and Mary Jane Fox from one of their Holy Land Pilgrimages. It serves to remind me of the extraordinary power in the cross. The Evil One wants us to stay away from the cross at all costs. I doubt he really cares what does the trick – any worldly distraction that keeps our minds elsewhere will do, just as long as we don’t think about or meditate upon the cross. Why? Because the cross settles forever the question of how much God really loves us. 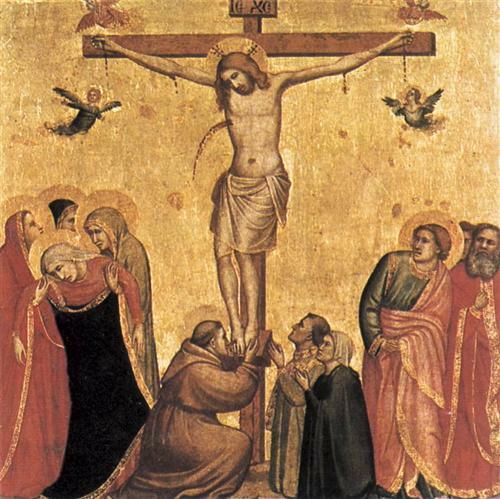 Just think about it – love was compressed for all history in that singular Person on the cross, who could have called down angels at a moment’s notice, but chose not to – because of us. This love that God first showed us now calls us, in return, to love the Father. My thoughts turn naturally to St. Paul for, at this time, Mary Jane Fox is leading a pilgrimage to Turkey and Greece “In the Footsteps of St. Paul”. Paul’s zealousness for seeing Christ proclaimed, churches established, and the body of believers built up, gave rise from his ever deepening love for Our Lord. “That I may know Him” was the primary passion of his life. May God grant that we follow in his footsteps. However, no matter how much of the Bible we know, how many homilies we have heard, or how many hours spent in front of the Blessed Sacrament, we are all still light-years away from knowing God perfectly. The man who believes that he has “arrived” will not go any further. We must follow in the example of the great saints who all had yearning hearts. Their longing for God all but consumed them, propelling them to great spiritual heights. Growing in faith is a process and every year we grow, we will find God bigger. As we grow in our knowledge of and relationship with Our Lord, He should be seen as more loving, more sovereign, more holy, and more omniscient, than the year before. Of course, it’s not Him changing – it is us who are changing. Refuse to stop at what you already know of God, there is so much more… and this journey of love begins with the cross.